FAQs – Does alkaline water work? 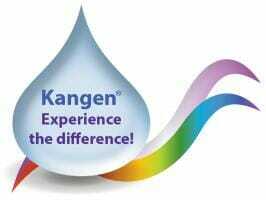 Kangen Water® As an Antioxidant And Its Advantages over the Competition! 1. The higher the electrical wattage the more completely water is broken into hydroxyl ions (OH-) and Hydrogen gas (H2). Ionization happens when water, HOH, dissociates into H2 and OH-. The most efficient and effective way to accomplish this utilizes electricity. When electricity passes through water this dissociation happens quickly. The greater the electrical charge and the longer the water is exposed to this electrical charge, the more complete the ionization. 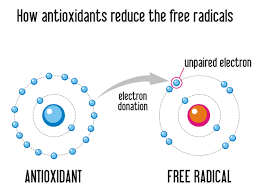 The more complete the ionization, the more antioxidant value. Remember, Antioxidant = anti aging & disease. 1. Some metals are better e lectrical conductors than others. For instance, some manufacturers use aluminum, stainless steel, copper, white gold or metallic alloys. The most reputable companies use titanium and platinum, but most use an alloy, or a combination of metals. 1. During the electrolysis process these metals give up varying amounts of their metal into the water. 2. Titanium is chosen because it is a very dense metal. This makes it a good conductor of electricity over a very long period of time. It can handle the energy produced by the Enagic machine. Additionally, its density keeps it from readily breaking down in water. That is one of the reasons it is the preferred metal used in medical grade screws and pins to hold bones together. However when it does break down, it is considered toxic to the body. 3. Platinum is chosen because, unlike titanium, in minute amounts it is actually a trace mineral that has many health benefits. 2. The more H2 present in the water and the more platinum it is exposed to the greater the amount of antioxidant free electrons created. This is what we call the Magic of Enagic®. What about other manufacturers Mineral Charged Filters? Minerals automatically ionize in when dissolved in water. This does not require any additional processing or electricity to complete the process. It is simply a natural chemical reaction. Ionizing inorganic minerals does not make them more absorbable by the human body. The more minerals that are added to the water, the greater the load and the harder the body has to work to eliminate them. What about the calcium sulfite in the filters? I must point out that if these companies actually understood the process of ionization through electrolysis they would never use such weak arguments. Calcium Sulfite is a naturally occurring mineral CaSO3. It is used in Enagic®s filters as a disinfectant to clean the water before it enters the carbon filter. It does not tend to combine easily with water and when ionized it will break into Calcium ions, and +Sulfur ions. Remember the Calcium and Sulfur in their ionized forms they are separated by charge and the sulfur ion is discharged in the acid waters. The Calcium is present in the alkaline water. How can the alkaline work with the stomach hydrochloric acid? It is important to remember that large amounts of hydrochloric acid are present in the stomach primarily when food is there. There is only a small amount of acid in stomach when it is empty, and this can be easily overcome when alkaline antioxidant, electron- rich water is consumed. Therefore, in order to gain maximum benefit, we recommend drinking alkaline antioxidant water in between meals. 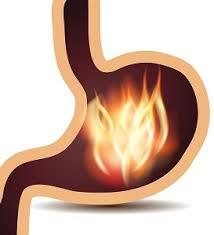 Water consumed between meals will very quickly pass through the stomach and the GI tract. What about the chemicals Enagic uses in their machines? The Electrolysis Enhancer is simple saline at a specific dilution to provide optimal results in the creation of Strong Kangen Water® and Strong Acid Water. It is never advisable to drink saline solution. This warning is also on all bottles of saline which can be purchased at any drug store for a variety of uses. Many unscrupulous competitors emphasize that network marketing is a “pyramid” which is why the Enagic® costs double the competition, and that people can save money by buying a cheaper brand on the internet. In reality, Enagic® costs more because of the higher cost of materials: It is for long term use by hospitals, not an appliance you throw away, and hospitals demand long term performance and durability. If you are dealing with your own personal health for fifteen years, who wouldn’t want to steer away from cheap imitations? The Kangen Water Store is located in Vancouver Washington, just outside of Portland Oregon. We would love to help you live a better life by way of better water. Contact us today to learn more.